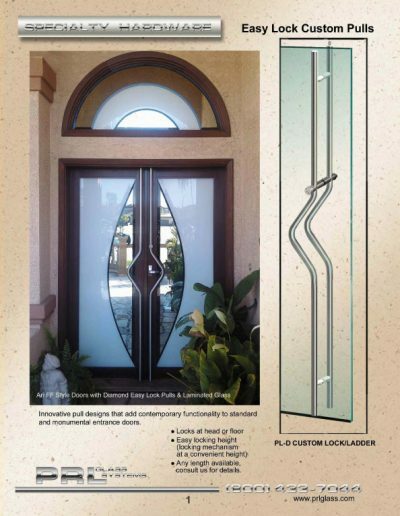 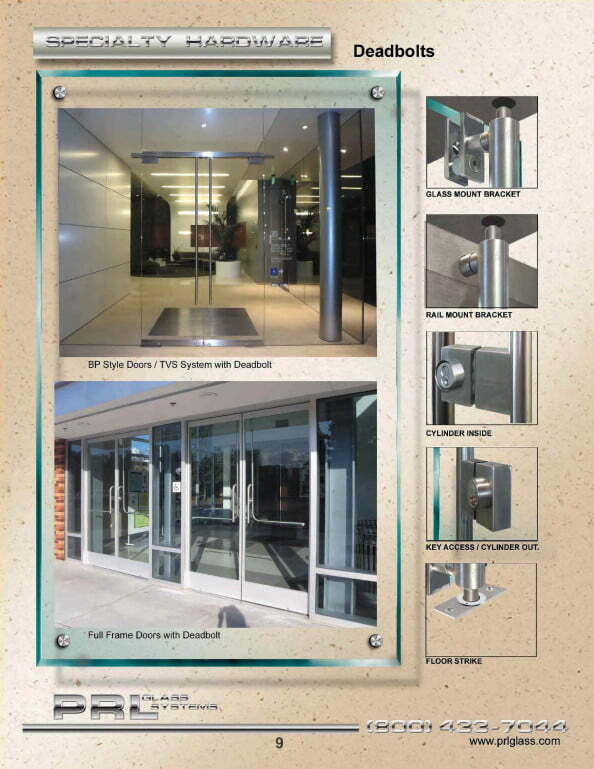 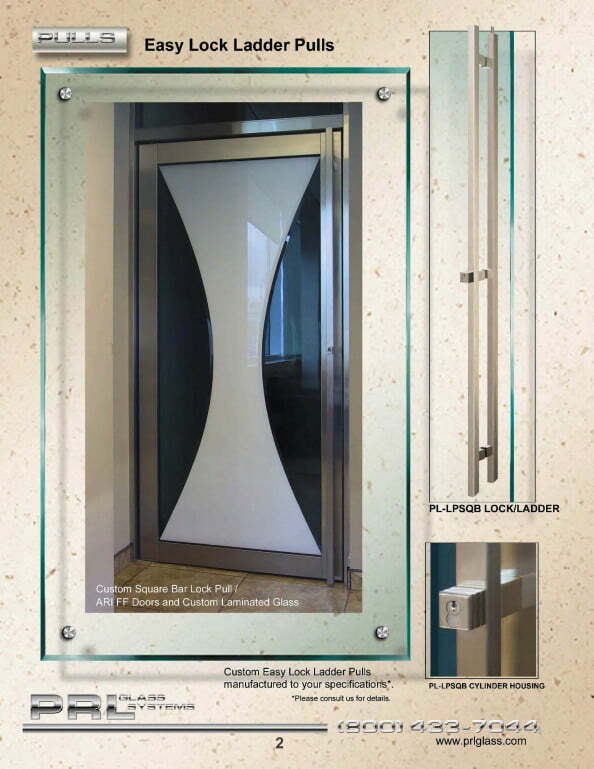 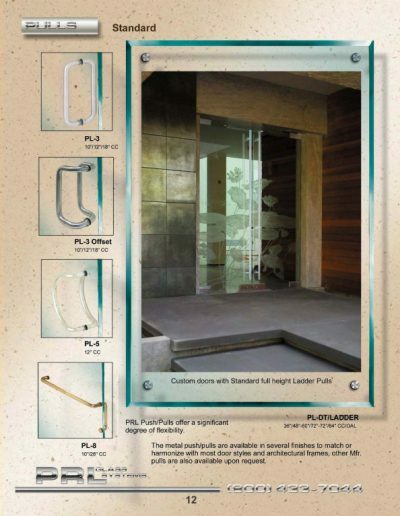 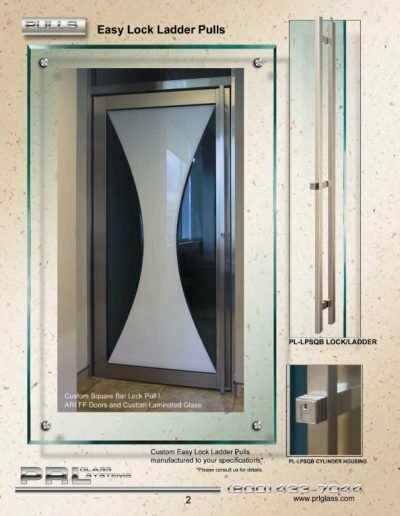 PRL Glass manufactures custom commercial glass door specialties, pulls and handles to your specifications to compliment each and every Glass and Aluminum Entrance Door System we offer. 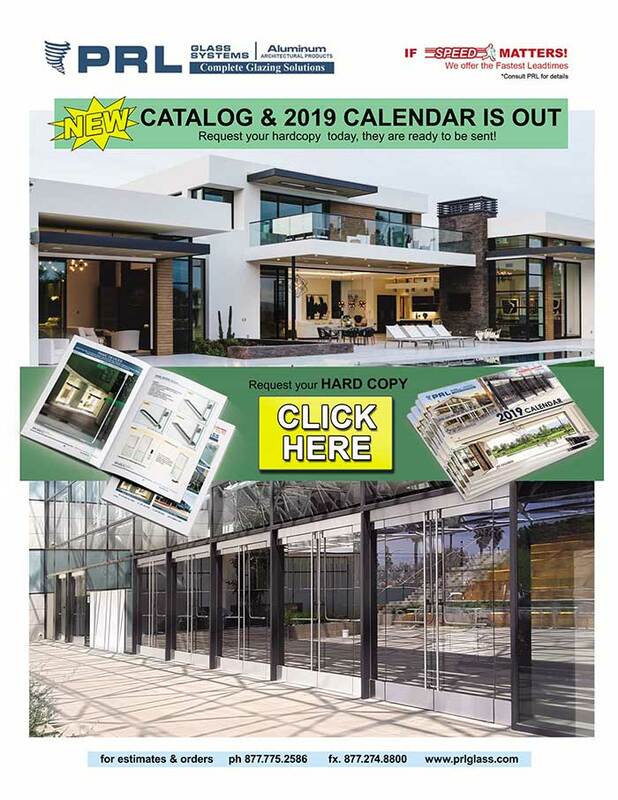 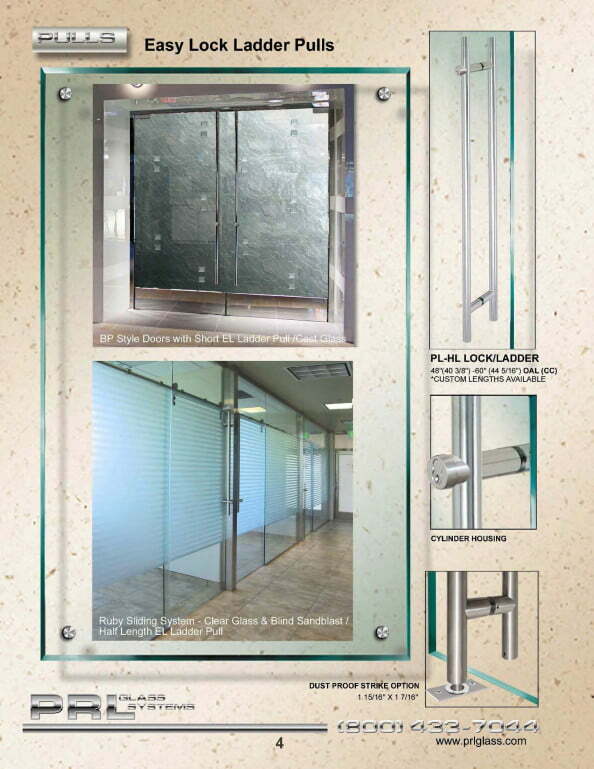 We manufacture Commercial Door and Specialties such as: All Glass Door Systems, Commercial Full-Frame Clad Doors and Specialties as well as Commercial Sliding Doors and Aluminum Swing Doors Specialties. 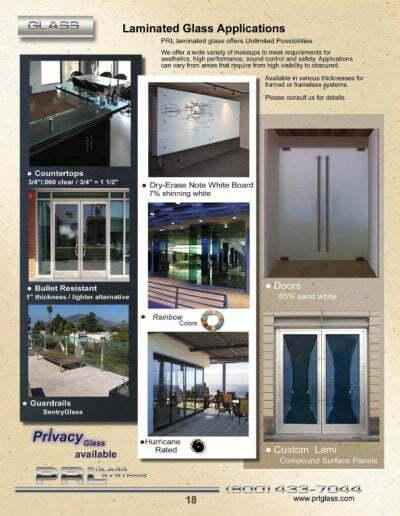 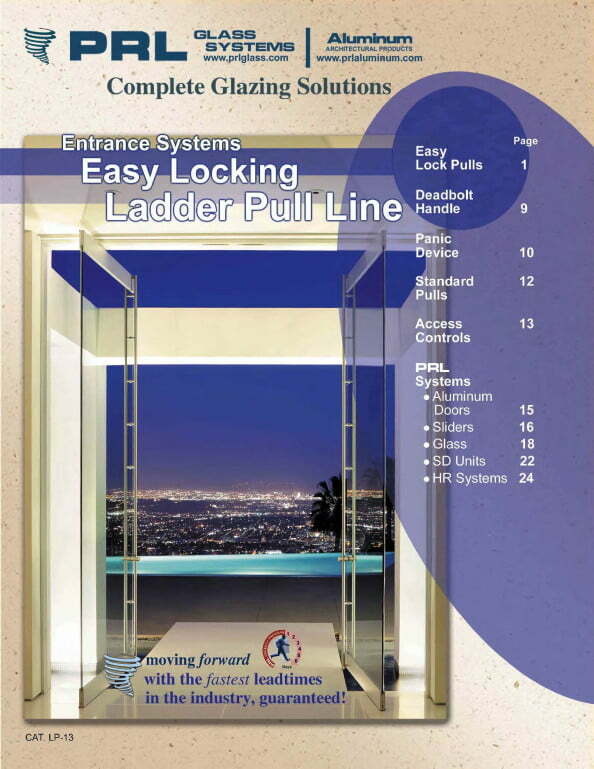 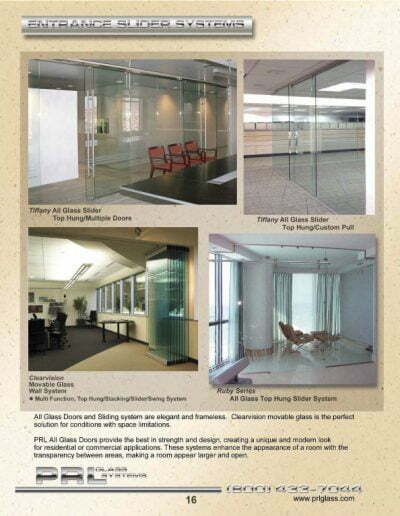 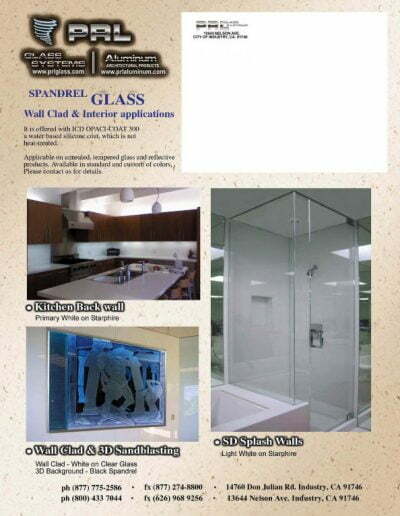 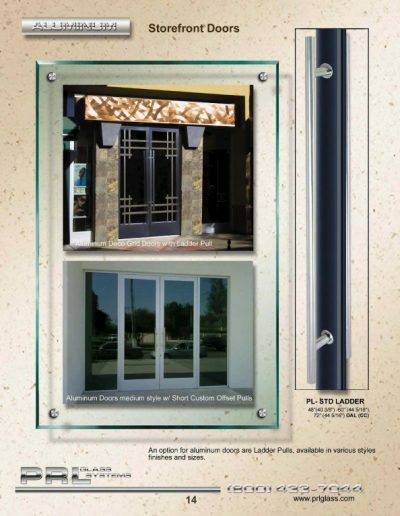 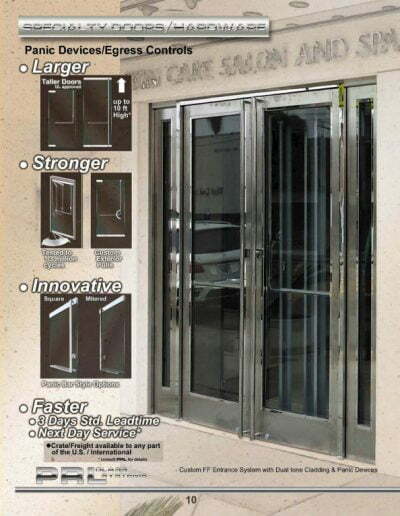 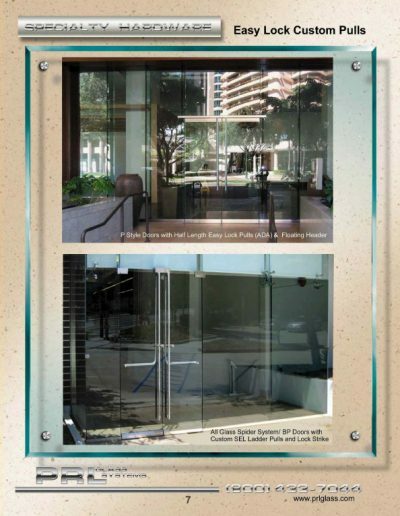 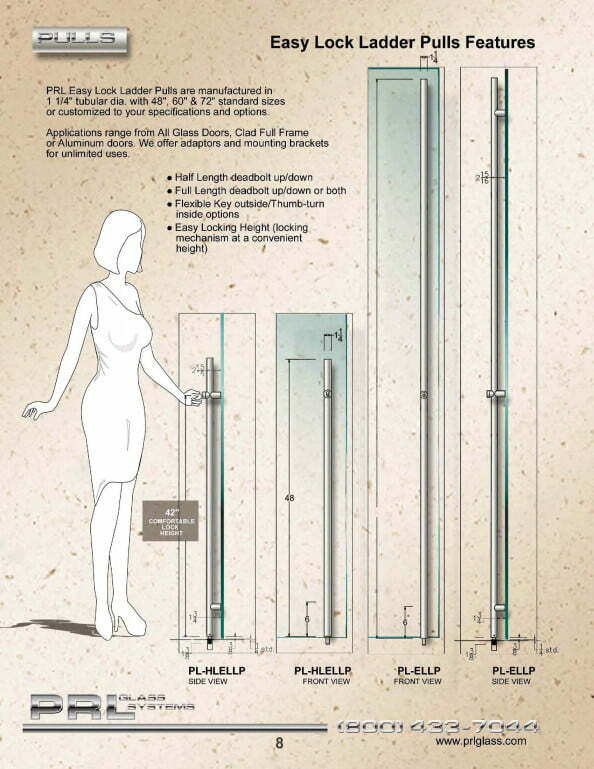 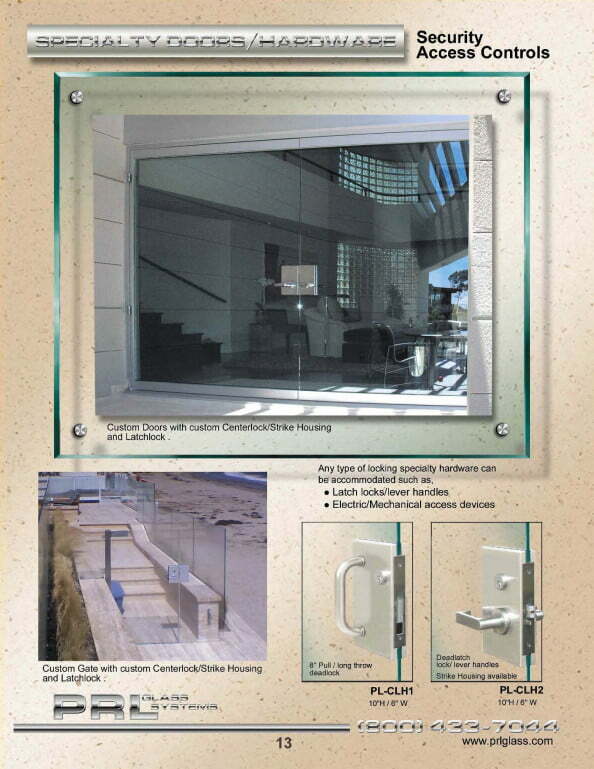 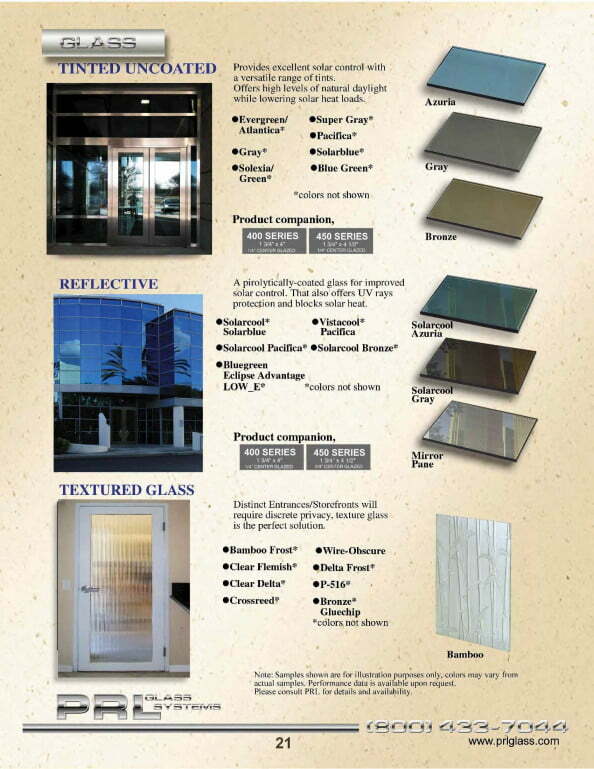 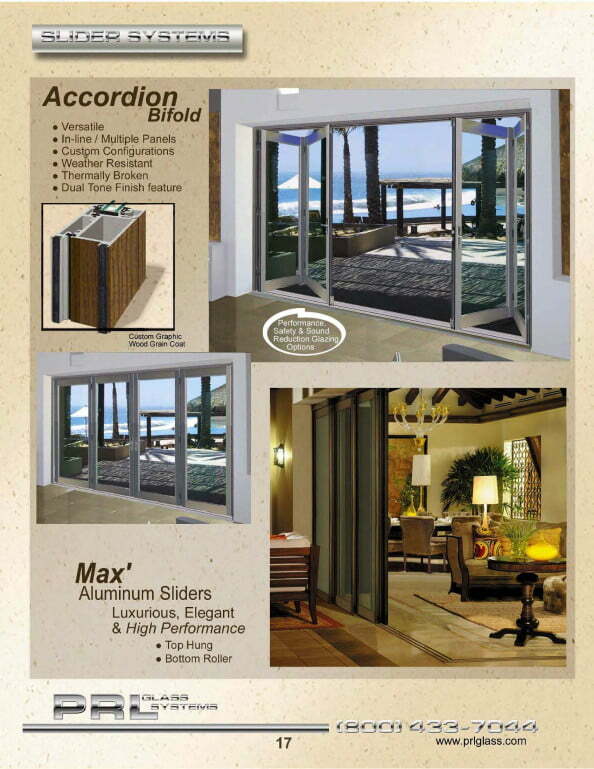 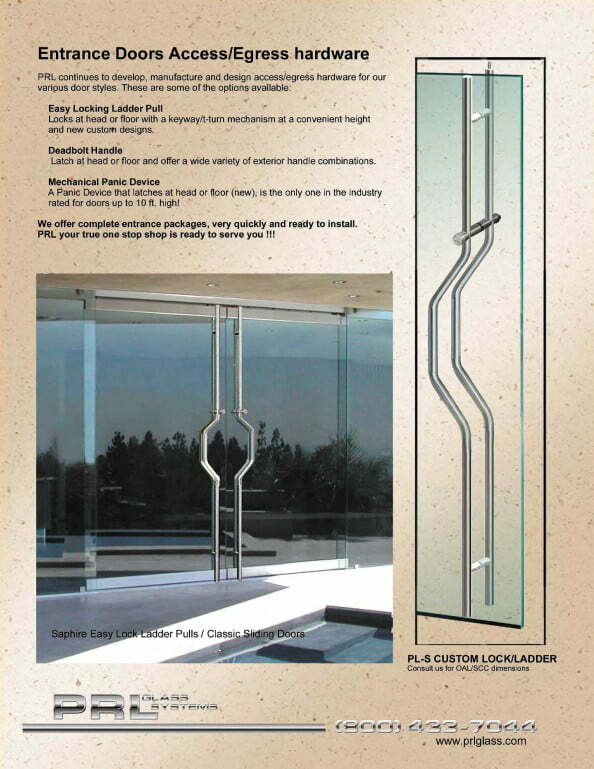 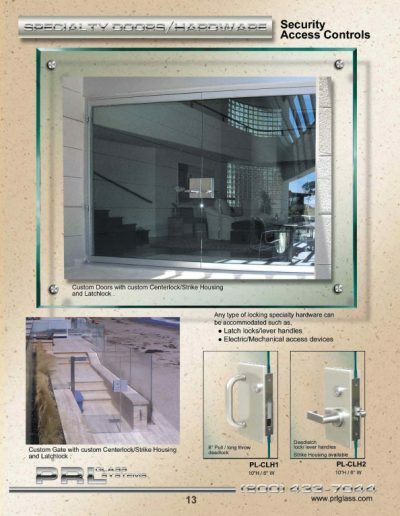 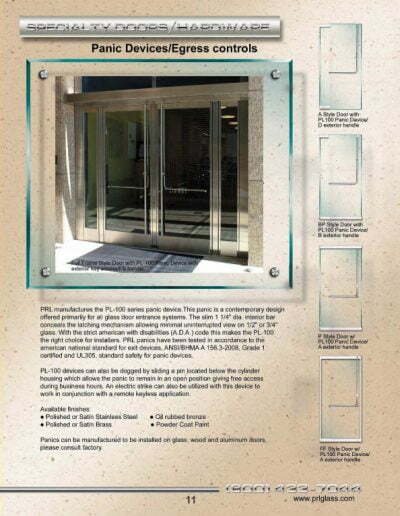 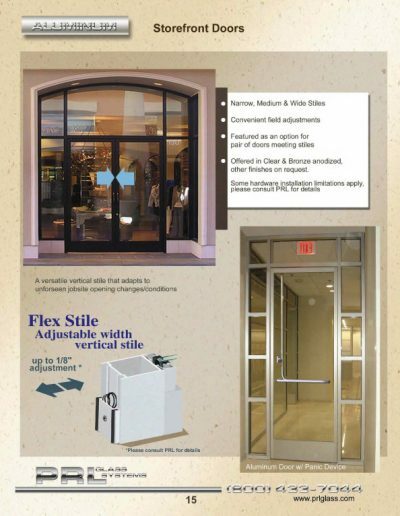 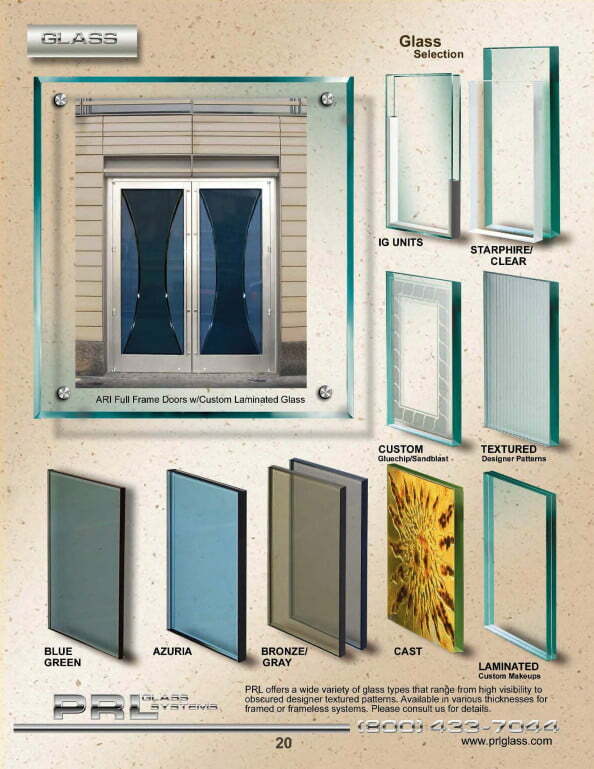 Our most popular All Glass Commercial Door and Specialties is our P Style with continuous rails top and bottom. 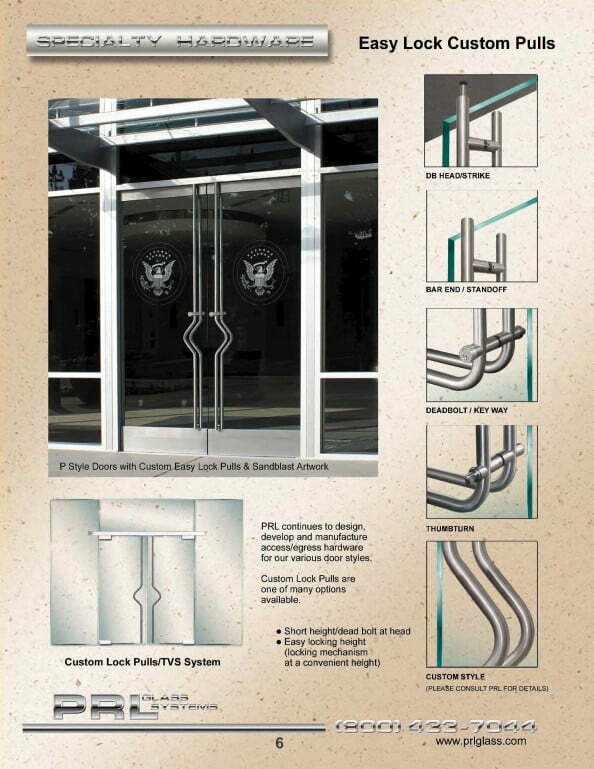 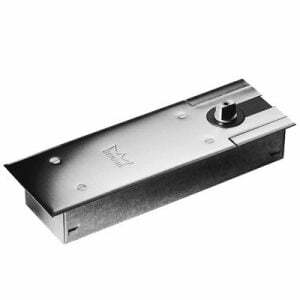 Our PL150 tapered rails will comply with ADA codes in most locations. 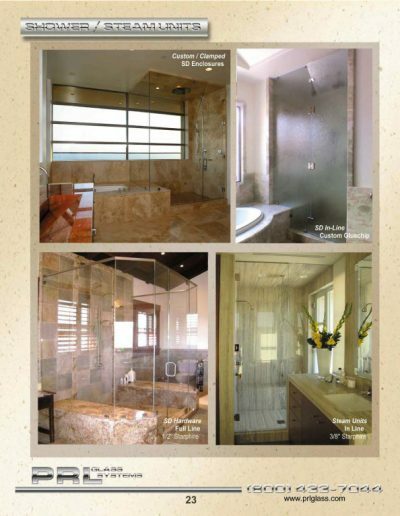 We carry various types of tempered glass colors such as clear, bronze, gray, and low iron. 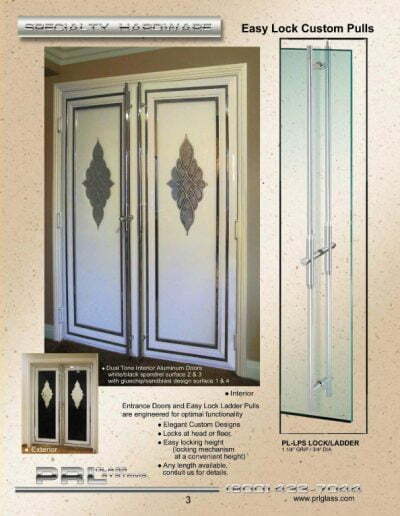 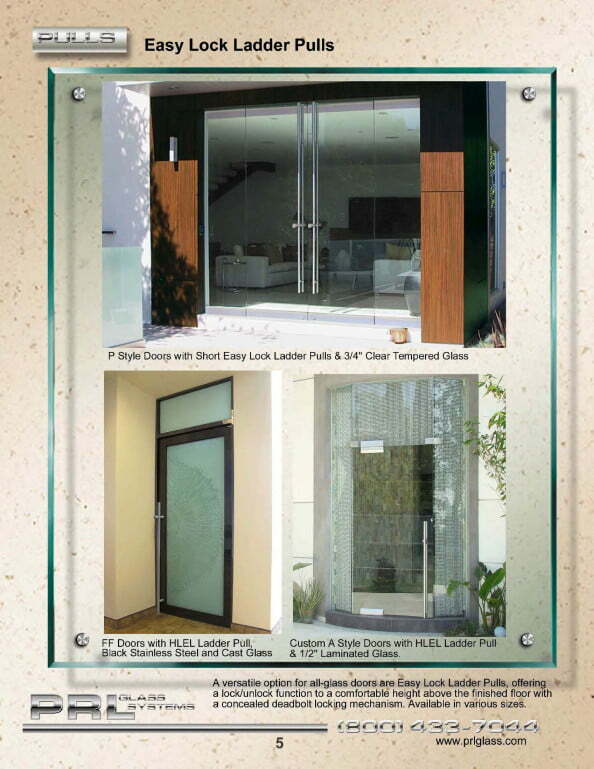 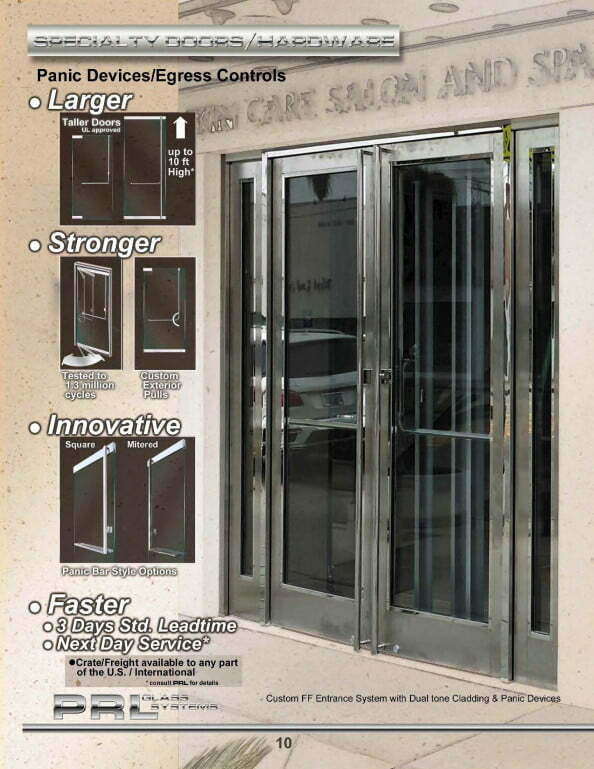 PRL also fabricates Monumental Style Full-Frame Clad Doors. 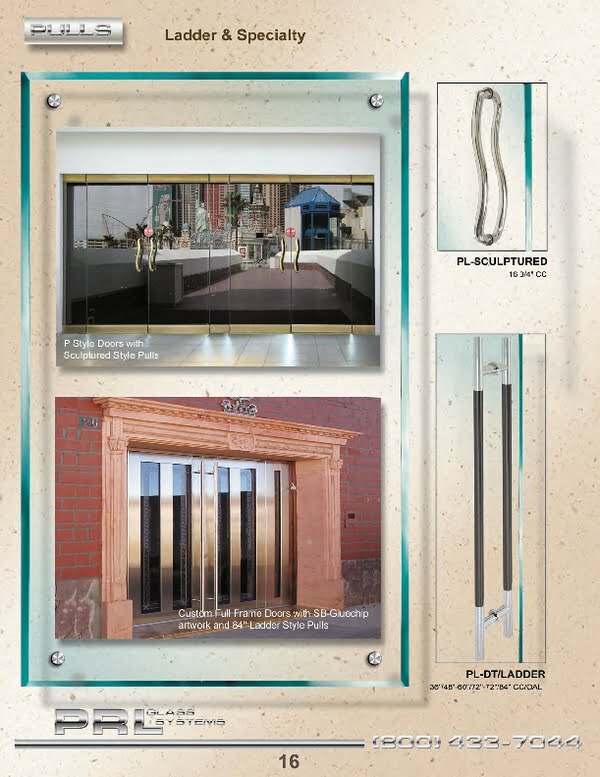 We offer 3″ Narrow Stile, 4″ Medium Stile and 5″ Wide Stile (nominal sizes), available to meet your design specifications. We provide you with the complete system including the doors, perimeter framing and all necessary hardware to complete the entrance system. We can also sandblast your corporate name and logo onto your entrance door. 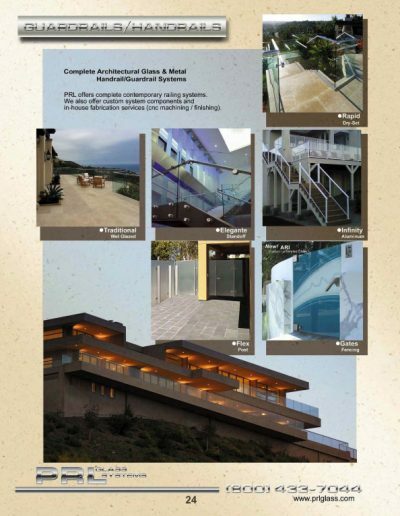 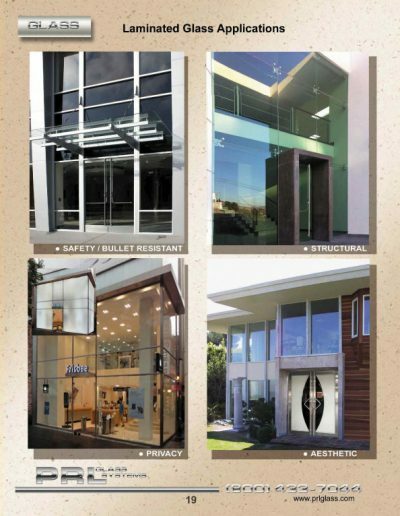 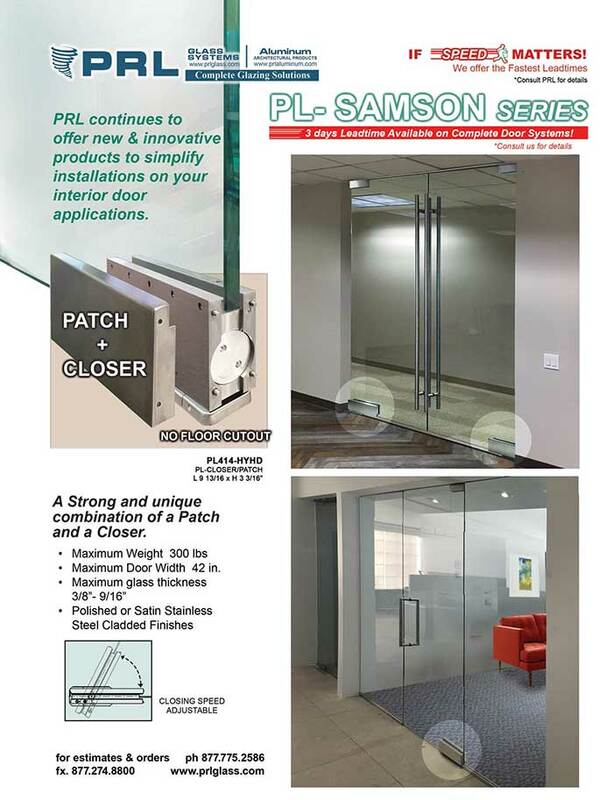 PRL can provide you with many glazing solutions, specialties to exceed all your specifications needs. 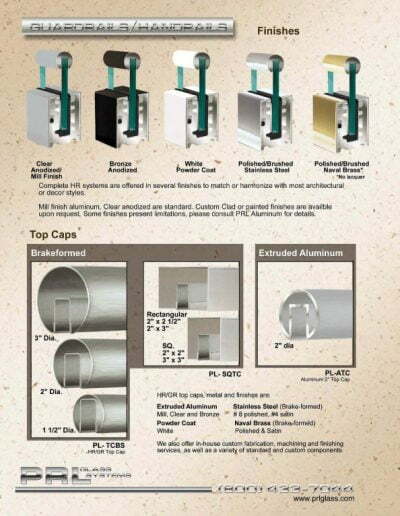 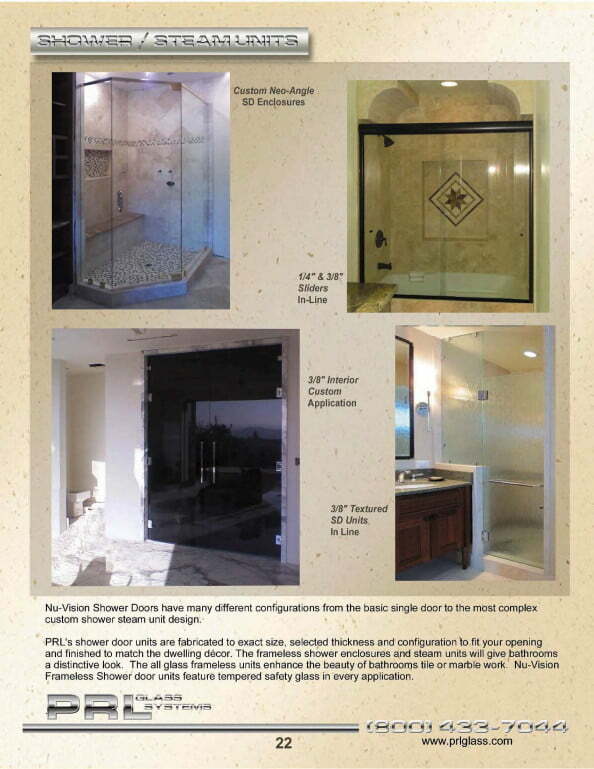 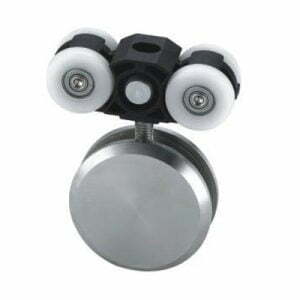 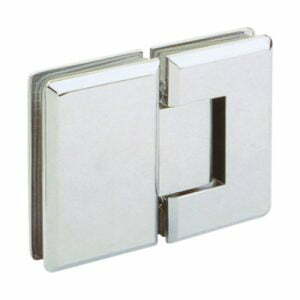 Simply supply us your Dimensions and let us take care of the rest Toll Free 800-433-7044.